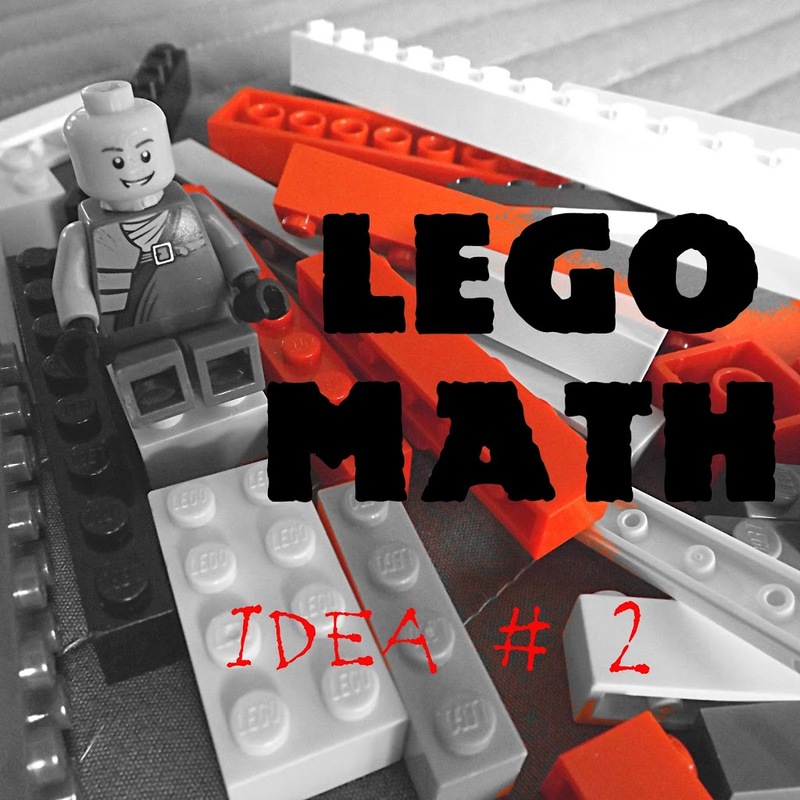 If you missed my fantastic DIY and introduction to LEGO Math Ideas, read more about it here. The studs on a LEGO brick lend themselves to fractions. Students are now expected to use partitioning to model fractions. Common Core Standard 3.NF states that students must understand part and whole a/b where a is a part and b is the whole. 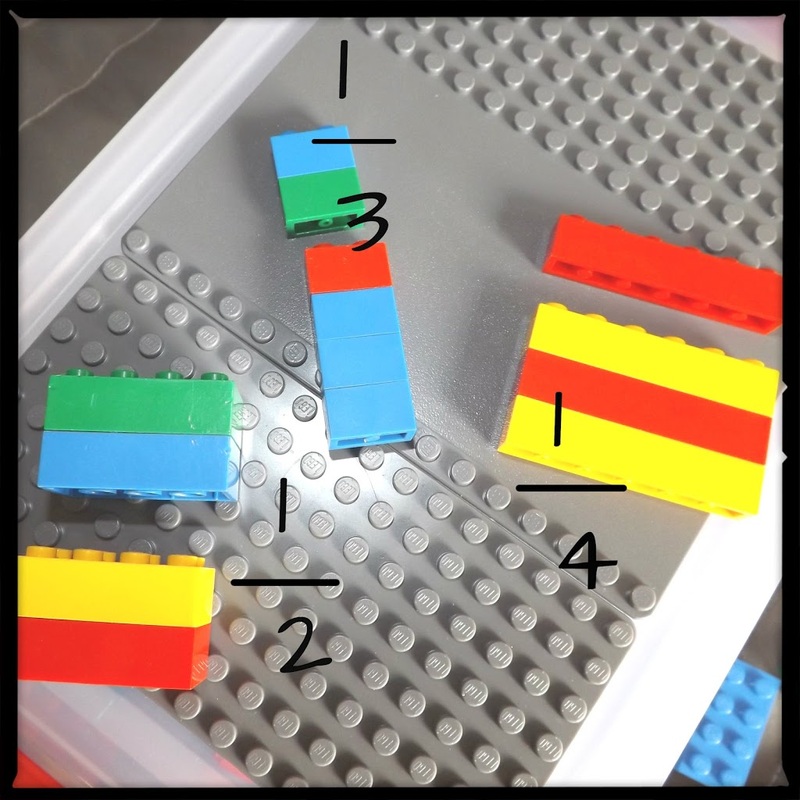 You can use a LEGO brick to introduce partitioning. Pull out some LEGO bricks that you would like to use. You know your students and their abilities by now. Using a 1 by 4, have a student fold a piece of paper into four equal parts. Talk about the studs on the brick and how it can represent one part of the brick. Tell the student the the 1 by 4 represents a whole number. Now use some 1 by1's or 1 by 2's to make another length of the same distance of the 1 by 4. The different colors on this length represent the fraction one half or two fourths. Practice coloring in different fractions on the paper and pointing them out on the brick itself. It's helpful if you write the fraction directly on the paper in each partitioned section. Then add the fraction together. The blue part is one fourth plus one fourth which equals two fourths OR one half. You can also stack LEGO bricks and ask the student to break them into halves, thirds, fourths, eighths, etc. 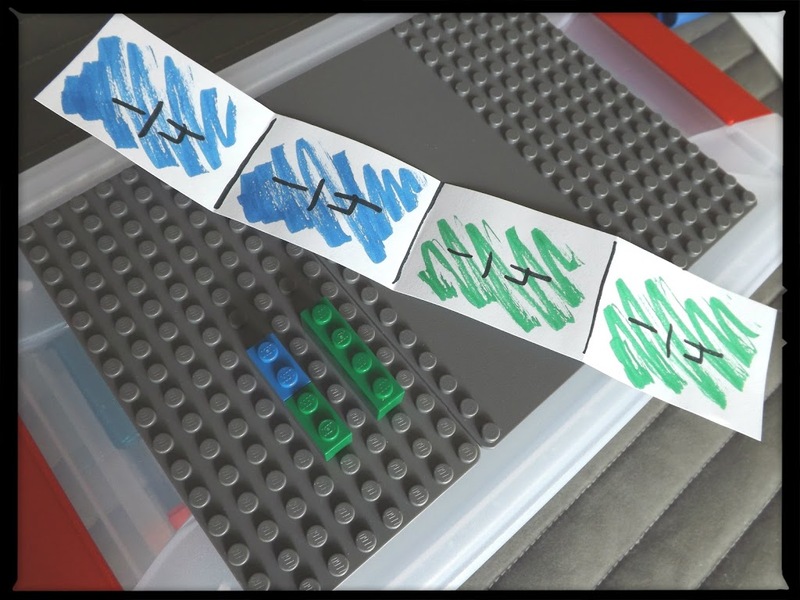 On a dry erase board, write down a fraction and ask the student to use the LEGO bricks to represent that fraction. The student then can break the towers. Love the legos and fractions! Great idea! Even junior high kids would enjoy it. Glad you found lego fractions useful! 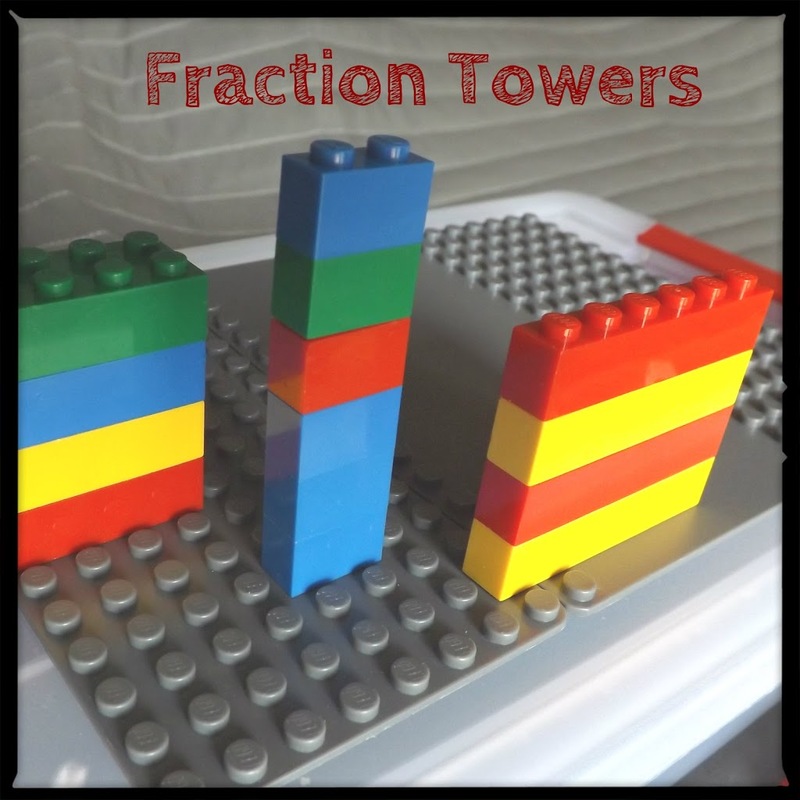 Your blog is very informative and innovative and I am here to discuss something about equivalent fractions,Equivalent fractions are fractions that may look different, but are equal to each other. Two equivalent fractions may have a different numerator and a different denominator.for example-2/3=4/6. Came here from Math Monday. I am LOVING this idea. I have tons of LEGO bricks or our 4 boys do, and I’m always thinking we’ll use them for math here at our house. But we never do. 🙁 I need a box like this to keep on our math shelf. Then I know I’d pull it out! BTW, I have a ton of these little bins. They are perfect for holding school manipulatives. I just never thought of making a dedicated math one! LOVE IT! Thank you!!!!! !